A blue card for foreigners is a special type of long term residence in the territory of the Czech Republic. It is issued for foreigners who are applying for the job where it is necessary to have high responsibility and expert knowledge. 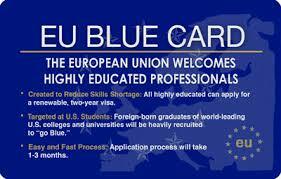 Who can apply for the blue card in the Czech Republic? The blue card is designed for foreigners from third countries, who are going to stay in the Czech Republic for more than three months. For how long is the blue card for foreigners in the Czech Republic issued? The blue card is issued for at least one year according to a contract of employment plus and an additional three months after the expiration to find a new job. The blue card can be issued for a maximum of two years. Which conditions do you have to fulfil? An applicant for a blue card must have a university degree or a special professional certificate which lasts at least three years. The applicant must also have a contract of employment, which has to be a fulltime job and the gross salary has to be 1.5 higher than average salary of gross salaries in the Czech Republic. Which employment do I have to do to obtain a Blue card – visa? The blue card for foreigners in the Czech Republic is for a special job, which is connected with high qualification or educational level. The list of these jobs can be found on the official website of the Ministry of Labour and Social Affairs here. 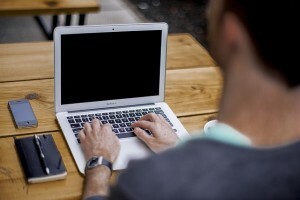 What should I do after I choose a suitable job from that website? After you choose a job from the website of the Ministry of Labour and Social Affairs you have to contact your future employer. Normally, you send him your CV with details about your qualifications and you may be asked for an interview in the Czech Republic or the employer will do it over skype or a phone conference. After that you go over the job details and blue card application. If everything goes well, you will be accepted for the job. If you are going to go to the Czech Republic for a longer time than three months because of scientific research, then you don’t need to apply for blue card but for long term residence with the purpose of scientific research. I obtained a job, where can I ask for a blue card? At the Embassy of the Czech Republic in your state. When do I obtain the answer of whether my application for the blue card in the Czech Republic was accepted or rejected? You should receive the answer within ninety days from applying. You presented wrong documents, which are not valid or there is a suspicion that your documents could be fake. My application was accepted, what else? If your application was accepted, then you will be contacted by an employee from the Ministry of Interior with whom you will arrange the date of issuing the blue card. He will tell you all the necessary information. The Ministry of Interior of the Czech Republic also contact the employer that you have received the blue card and you are able to work. Before you receive the blue card you obtain the confirmation of fulfillment conditions for obtaining a blue card. This confirmation is proof which entitles you to stay in the territory of the Czech Republic before you obtain the blue card with biometrical data. If you want to leave the job during the validity of your blue card in the Czech Republic, then you are obliged to announce it to the appropriate office of the Ministry of Interior. The announcement has to be done at the latest three days before your resignation. If you want to change your employer during the first two years in the Czech Republic you have to also announce it to the office of the Ministry of Interior. The change of employer depends on their decision. The change of employer in the first two years depends on the decision of the Ministry of Interior. The Ministry of Interior confers the agreement if you still fulfill the conditions for obtaining a blue card. The new job has to be written among the work positions which can be reserved for a blue card holder and not only for citizens of the Czech Republic or holders of permanent residence. For the execution of this job it is necessary to have high qualification. The application for the change of occupation or employer can be found here. If your change is successful you will keep your blue card with the original validity. If you are in the Czech Republic longer than two years and want to change your occupation, then you just need to fill the online form on the website of the Ministry of Interior – link.